Delhi Chief Minister Arvind Kejriwal said the attackers were ‘goons in the garb of Hindus’. Opposition leaders on Saturday condemned the attack on a Muslim family in their home in Gurugram’s Bhondsi on Thursday. The family alleged that the accused had told them to “go to Pakistan” and threatened them to vacate their home. Congress President Rahul Gandhi claimed the Rashtriya Swayamsevak Sangh and the Bharatiya Janata Party channelise “bigotry and hatred for political power”. 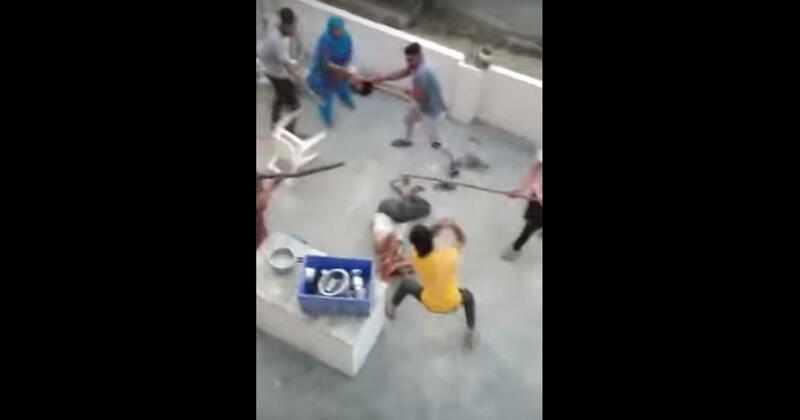 “Every Patriotic Indian is disgusted by the video of a family in Gurugram being mercilessly beaten by hooligans...This incident serves as a warning of the dangerous consequences [and] the dark side of that strategy,” he tweeted. Samajwadi Party chief Akhilesh Yadav condemned the attack, saying what happened to Mohammad Sajid and his family were “beyond imagination”. “Politicians who ruin the brotherhood of the country don’t understand that hate is the kind of poison that will destroy everyone,” he tweeted. Sajid had moved to Gurugram 15 years back from Panchi village in Uttar Pradesh’s Baghpat district. Sajid said this was the first time that his family had experienced such violence since moving to Gurugram. Six people have been arrested in connection with the case and police have filed a case for rioting, unlawful assembly, attempt to murder, voluntarily causing hurt, house trespass and criminal intimidation.